The Seychelles is a stunning place, full of fabulous wildlife, some endangered all unique to this cluster of islands. So supporting organisations like Marine Conservation Society, Seychelles is a pleasure - except it is quite expensive to get to. Luckily modern technology has stepped in and WVI have been providing expert veterinary training and advice via WhatsApp (other apps do similar things!!). 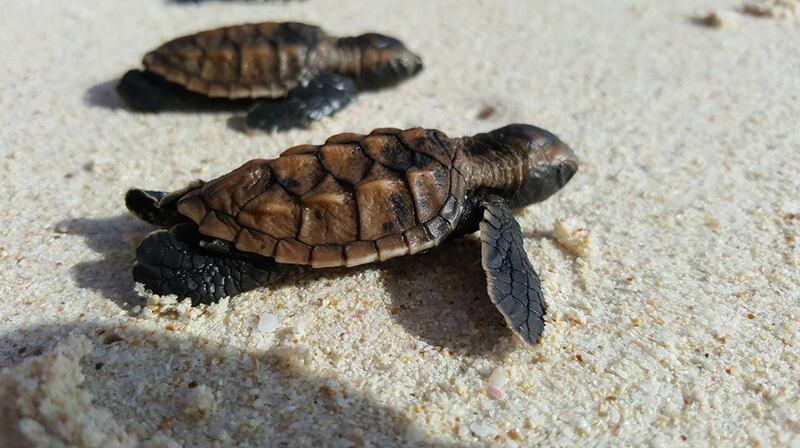 Marine turtle expert Tania Monreal has been providing step by step advice for some Hawksbill turtle hatchlings that headed off in the wrong direction - they were heading for lights in a villa rather than the moon on the sea. They were dehydrated and ended up in chlorine water. Some were strong enough to be released immediately and some were very weak. Sadly a few were dead. Those that were weak were kept in one of the recycled hotel Jacuzzi, and looked after by MCSS staff they were deemed strong enough to be released. WVI marine turtle expert Tania Monreal was on hand, sending advice and practical videos by WhatsApp to support the staff. Last year Tania provided advice and excellent practical videos on what do about the fish hook MCSS team had found in the gut of a Hawksbill turtle. 'Eden' had been brought in because of a huge gash in his carapace (dorsal shell). MCSS had x-rayed him because he was having feeding and bouyancy problems. That was when they saw the fish hook. Tania sent videos on how to do various procedures and supported the staff and local vets through out Eden's initial recovery. Thanks to the MCSS team, Eden was released a few months later. When WVI agrees to partner with an in-country organisation, we do so with the view that we will be helping them in the long-term. Be it regular training of field biologists or local vets, helping design disease surveillance progammes or the occasional clinical advice, WVI vets are committed.